How Do I Get Started in the RHEMA Alumni Audit Program? 1. Refer to the RBTC Calendar and take note of the deadlines for enrolling and paying your fees for each term. The term deadlines and course fees are also listed on the course enrollment form. 2. Complete the application and enrollment form and return it with payment to the Admission’s Office of RHEMA Bible Training Center (located in SDC1) or mail it to the address at the top of the application form. Be sure to mail the form before the deadline. The Admissions Office is open Monday through Thursday, 8:15 – 4:00 p.m; and on Fridays, 8:15– 1:30 p.m.
3. You will be notified either by telephone or mail when your enrollment form has been processed and you are registered for the course(s) of your choice. Detailed instructions regarding registering for class(es) will be provided in this notification. 1. 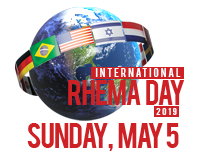 If you have completed one year of RHEMA, you may ONLY enroll in first-year courses that are currently offered. 2. If you have completed two years of RHEMA, you may enroll in either first- or second-year courses that are currently offered. 3. If you have completed one of the third-year programs, RSPM, RSW, RSWM, or RSBS you may enroll in either first- or second-year courses that are currently offered. 4. Alumni may audit any course provided there is availability, as regular students have priority. Note: There are some courses that share a term. If you enroll for one of those courses, you will automatically be enrolled for the course that is given the second half of that term. 2. Due to the nature of this program, no credits, certificates, or diplomas will be issued for completing selected courses. B. The cost of each course is $80. There are no discounts for enrolling in more than one course. C. Costs and fees are subject to change without notice. D. Textbooks are not required for RAAP participants. Textbooks may be purchased at the RBC Bookstore. Bookstore hours are Monday through Friday, 12:00-6:00 p.m., and 30 minutes before and after each RHEMA Bible Church service. Services are Sundays at 10:00 a.m. and 7:00 p.m., and Wednesdays at 7:00 p.m.
2. Class CDs– As a participant in RAAP you are permitted to purchase class CDs for the course(s) you are enrolled in. You must be physically present in the classes to be able to purchase the CDs. Please refer to the RBTC Student Handbook for guidelines and ordering procedures. The cost of class CDs is not included in the course fees. 3. Tuition Policy – Participants should refer to the RBTC Calendar to note tuition payment deadlines. Individuals may not enroll in a course after it has begun. If a student chooses to withdraw from a course before it begins, he will receive an 80% refund of his payment. Once a course has begun, no refunds are available. 5. V.A. Benefits – The RHEMA Alumni Audit Program is not approved for V.A. benefits or G.I. Bill benefits. 6. Social Security Benefits - The RHEMA Alumni Audit Program is not approved for Social Security benefits. 7. Financial Aid, Student Loans, Grants – We are not approved by loaning agencies for student loans, Pell grants, or any other financial aid. 1. All RAAP participants must adhere to the student policies and regulations stated in the RBTC Student Handbook. If you have any questions pertaining to current student policies and regulations, please contact the Admissions Office. 2. Dress Code – RBTC seeks to provide an atmosphere conducive to reverent study and to the development of strong Christian character. Because it is our desire that all of our students be dressed in modesty and in good taste, all RAAP participants must follow the current RBTC Student Dress Code as outlined in the Student Handbook.